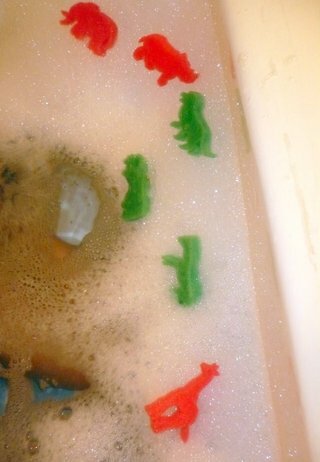 Ah, tub time. Which means it's closer to Mommy Break Time. Our nightly routine takes anywhere from sixty minutes to two hours, what with the bath, pajamas, flossing, brushing, stories, last trip to the bathroom, piggyback rides to bed, songs and kisses. It's exhausting, at the end of an always already long day. Tonight, I swear I almost didn't make it, my voice is nearly gone because of the coughing and the smoke and ash inhaled over the past week. But we did manage, with everyone's cooperation, and now that the two babes are snug in their beds, I'm going to settle down with a piping hot cup of herbal tea, grab my knitting bag, pop in the latest from Netflix, and unwrap a bar of dark chocolate. And maybe, just maybe, I'll be nice and share with my husband. I keep thinking of you guys. Hope the chocolate helped! i can't imagine how horrible it must be to live so close to all the fires! but then when i see the satellite shots it seems to make it so clear-the smoke is FIERCE. hang in there and hopefully you'll get a nice downpour of rain there. I hope today is not quite so long and the smoke clears soon.